Express your gratitude and love to a Godparent with these unique personalized gifts. Personalized Gifts for the Godchild too! Customized for Godson or Goddaughter. 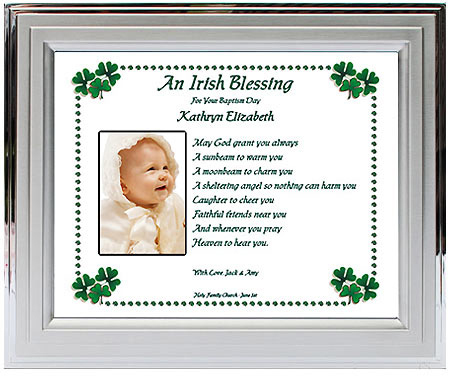 Wonderful gift for Godparents on his or her birthday, Mother's Day, or any time! Heartfelt poems personalized with your choice of names, dates, etc., will let your family and friends know how special you think they are. 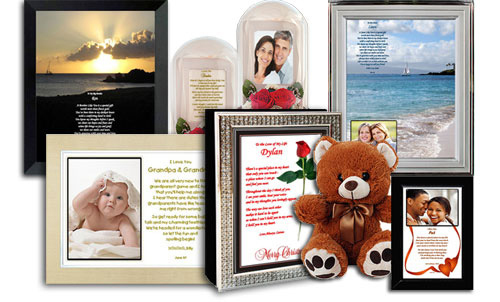 Anniversaries, birthdays, weddings, christenings...all can be remembered with a beautiful personalized keepsake. You can make your Mother's Day, Father's Day, or Christmas gifts extra special this year. 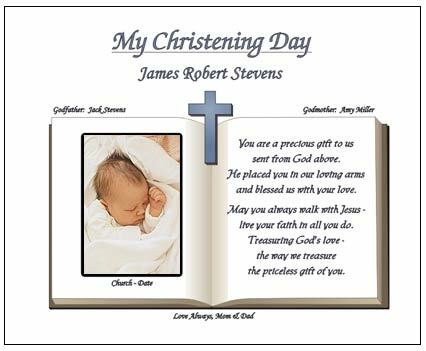 Our lovely Baptism or Christening verses are personalized with the name, the baptism date, Godparents' names, as well as an area for a personal message from you! Let us help you find unique gifts. Items are shipped quickly and we can even gift wrap your order. Need answers to your questions? Email us at info@godparentgifts.com for a quick response!